Although the season is yet to get fully underway, the team have been mixing it up a bit recently and here’s a bit of background as to what they’ve been up to as the winter finally draws to a close. 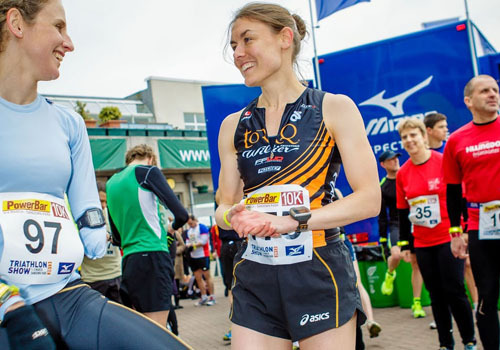 Danielle Stewart ran the TCR 10k; whilst recovering from injury and still came second. Chris Standidge our latest recruit to the team achieved first place in the Fire fighters duathlon with a fellow TORQ user. 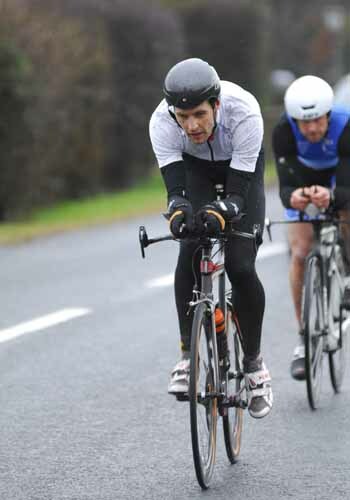 Lastly, Dave Mawhinney got his season started at the Outon Park duathlon narrowingly missing the podium. Whilst these races were executed in truly dreadful winter conditions, hopefully the weather has turned for the better and we can all get on with some warm weather racing. Bring on the summer. 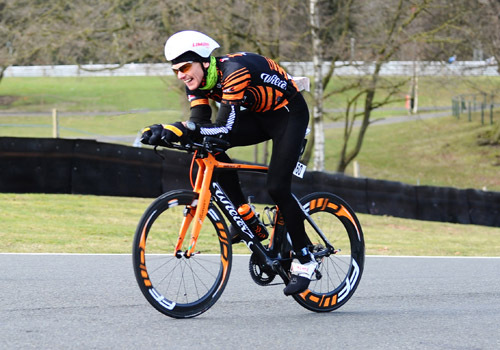 Danielle Stewart: After riding the Saturday cycle ride at the TCR show, I decided to race the following days TCR 10k. I was excited to be on my first start line since 2012 and it wasn’t long before the start gun fired and the 170 runners sprinted away with me in tow. No matter how hard you try to hold back in a race (I was supposed to take it easy because I was recovering from injury), it is very difficult when the gun goes. Although I stormed off and quickly established myself in the lead position, I quickly remembered that I wasn’t fit enough for the pace I was running, so backed off after the first mile and happily ran at a slightly more conservative pace. I was passed by a very speedy Tish Jones at this point who never looked back! The course is not an easy one with ups and downs all the way and a few dead turns for good measure. I was pleased, and pleasantly surprised, to finish in 2nd place with a pair of heavy legs (another TORQ podium at the TCR show following Nick Shasha in 2012 – JE). All in all, it was a good weekend of solid training and a great social event to top it off! Chris Standridge: The first race of my 2013 multisport season started with the Firefighters Duathlon near Garstang in Lancashire. It follows a slightly different format in that it is a 2 up (you do the whole thing with a partner) running the first 5.5k run together, then being able to draft each other on the 30k bike and then running together for the final 5.5k run. The race also runs as a Firefighters Championship as well. The race format means you need to have a partner who is of similar ability on both the bike and run, and I was fortunate to have TORQ user Tony Cullen to race with. As has been the case all year, the weather was typically cold and wet, but as soon as the gun went off this was quickly forgotten about on the first run. There was a 4 wave start, with us starting in wave 3, each wave separated by 1 min; due to the narrow paths on parts of the run. Quickly we were working our way through the early waves and running strongly on the 2 lap course that was a mixture of road and very muddy paths. The run felt good, as we always had the incentive of running past people and went by in no time. As we hit transition there was only 1 team ahead of us from wave 1 who were just up the road. On to the bike there was us, plus a strong bike partnership of Chris Rainford and Neil Mercer who had started in wave 1, starting together. Quickly the hammer went down to catch the leading team, which happened after approx 2 miles, and the pace remained high for the first lap of 2. We were happy to sit back at 10m knowing we had a 2 min lead from the wave start, the 2nd lap was fast enough to know it was unlikely a team would come from behind, but fairly uneventful. Into transition for the 2nd run, we took the lead early on, and were able to run comfortably to the finish for the win. A great race to start the season and a little different to the usual individual effort. Thanks to Tony for his efforts, and a good start for me racing for the Torq Tri team. Dave Mawhinney: After waking up to be greeted by snow on the ground, it was a relief to get to Oulton Park to see no snow and sunny conditions. Luckily by the time the race started the race track was dry but it was still very cold. It being only my second duathlon, I knew pacing would be a problem so for the first 8.6 km run I ran a bit too conservatively but was pleased with the time/effort. Onto the bike it felt really good to be back on the Wilier Twin Foil TT bike and a real treat to be riding on the smooth road surface of the race track. I tried to push it more on the bike but at the same time keep my lap times consistent for the 9 laps of the 38.7 km bike and was soon catching people who finished the first run ahead of me. Onto the last 4.3 km run, I hoped I had saved enough energy. I pushed it as hard as I could and was relieved to get to the finishing line to finish in a time of 2-01-44 to finish 46th overall and 4th in my age group in a very competitive field in my first race of the season.